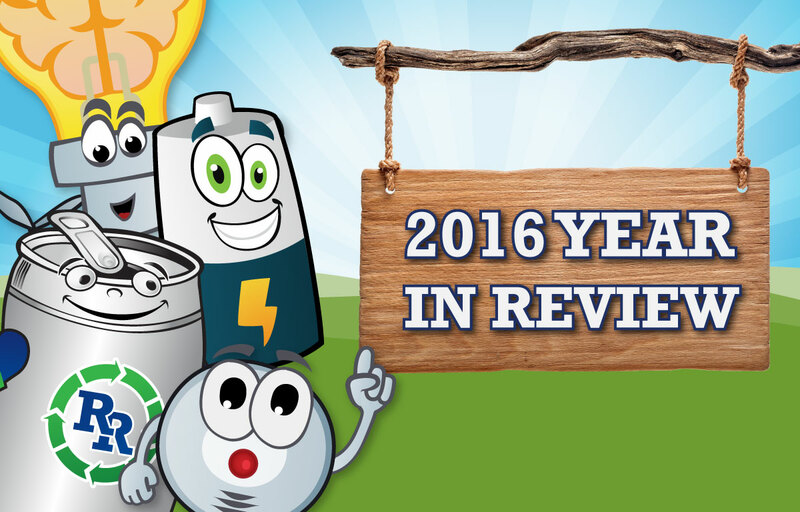 No better time for Regional Recycling’s 2016 year in review. Thank you for allowing us to be a part of your community in 2016! We had some great times, and look forward to more of the same in 2017! 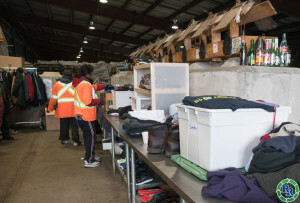 As many of you may know, collected warm items at our Vancouver Regional Recyling Bottle Depot in the fall of 2016 in order to be given to our binner clients to help them stay warm in the colder months. The response was overwhelming and we’d like to thank our community for their support! We want to send out special thanks to our sponsors, ReGeneration and Electrorecycle who supported our Regional Recycling Cloverdale Pancake Breakfast! And, to the Cloverdale Fire Department who stopped by with the “big truck” and provided truck tours for our event! Great to have you! See the fun we had! 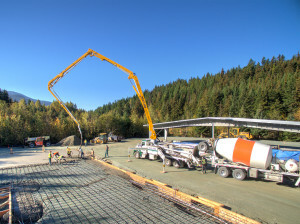 Our Regional Recycling location in Whistler is on the move, and on the grow! We thought it would be fun to show the progress of the new facility, so we’ve been collecting some photos and had a video of our progress. 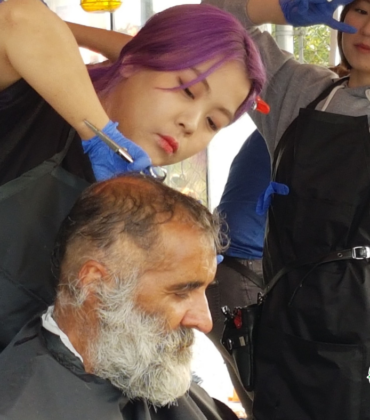 Check out what we’ve done so far. For our Fall 2016 Recycle & Win Contest Sponsored by ReGeneration you could win one of 8 $250 VISA GIFT CARDS! 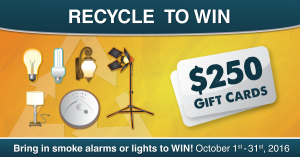 Every time you brought in a smoke alarm or light fixture for recycling to any of our Regional Recycling locations, you could enter to win a $250 gift card! 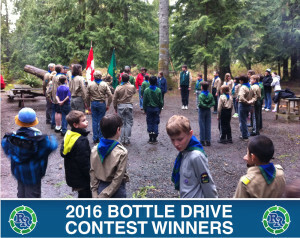 Regional Recycling’s Bottle Drive Contest, held every year, awards the highest value bottle drive for the year with a $1,000 donation to their cause. There are also 2 random draws each for another $500. Every bottle drive booked through us gets entered into the contest automatically! Our lucky winners for 2016 were announced in this blog post – stay tuned for 2017’s winners. 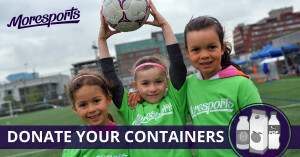 The proceeds from our Fall donation bins was MoreSports, a wonderful community-based organization dedicated to providing sports for all children who wish to participate. Our 2016 WinABike Winners are a happy bunch! 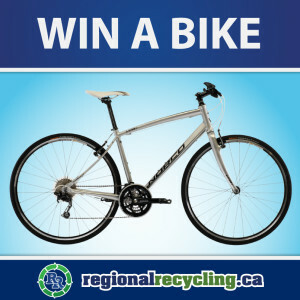 Our WinABike contest is an annual event at Regional Recycling, an event that many of our regulars look forward to in hopes of being a lucky winner! 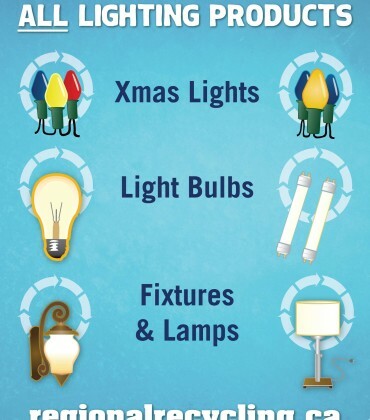 We hold the contest annually at each of our depots so that customers across our coverage area can win! This year’s contests have just ended. Here are the photos of our lucky winners with their prizes! 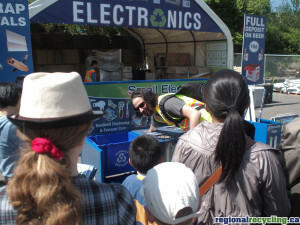 Our Nanaimo Regional Recycling Depot had a BBQ on May 29th and you were invited to join us! We had games & prizes and activities for kids of all ages. 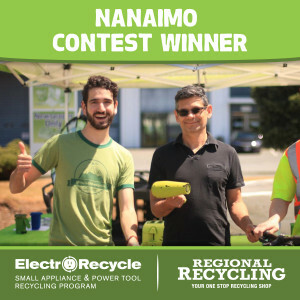 Customers were able to bring your small, broken appliances in for recycling and entered to win a brand new mountain bike! Hard to imagine that not so long ago Fort McMurray was being devastated by raging wildfires that wiped out entire neighbourhoods and left up to 88,000 people displaced. The Alberta government declared a state of emergency. 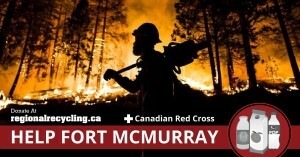 In a company-wide outreach, Regional Recycling’s management and employees donated to the Canadian Red Cross Alberta Fires Emergency Appeal. We also used our in-depot donation bins to collect beverage containers, and all refunds from the donated beverage containers went to the Canadian Red Cross Alberta Fires Emergency Appeal. 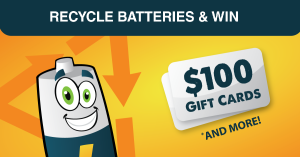 We had a lot of fun in March with our Battery promotion and we’re excited to share the contest results! 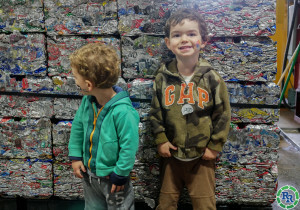 We had winners across all of our Regional Recycling Locations, and the biggest winner was the environment. The volume of batteries collected over the period of the month were 7 Times our average battery collection, with some locations bringing in over 10 times their previous average. Check it out in the chart! At Regional Recycling, we are proud to be a part of the communities we serve and provide local charitable organizations the opportunity to participate in our depot monthly donation bins program. 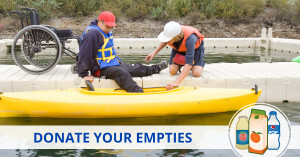 The program allows us to collect beverage containers for donation to the charity of the month(s). We provide 100% refund on all beverage containers, and the amounts quickly begin to add up. Earth Day is the largest civic event in the world, celebrated simultaneously around the globe by people of all backgrounds, faiths and nationalities. 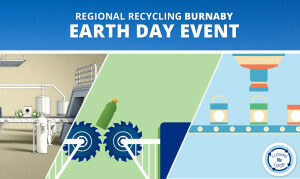 More than a billion people participate in campaigns every year.Regional Recycling celebrated Earth Day at 2 events. Thank you again for a wonderful 2016! We look forward to seeing you at one of our events in 2017!